Sir Isaac Newton is largely credited with the phrase that says he was able to see further because he “stood on the shoulders of giants.” The expression is intended as a nod to past generations and their foundational achievements. 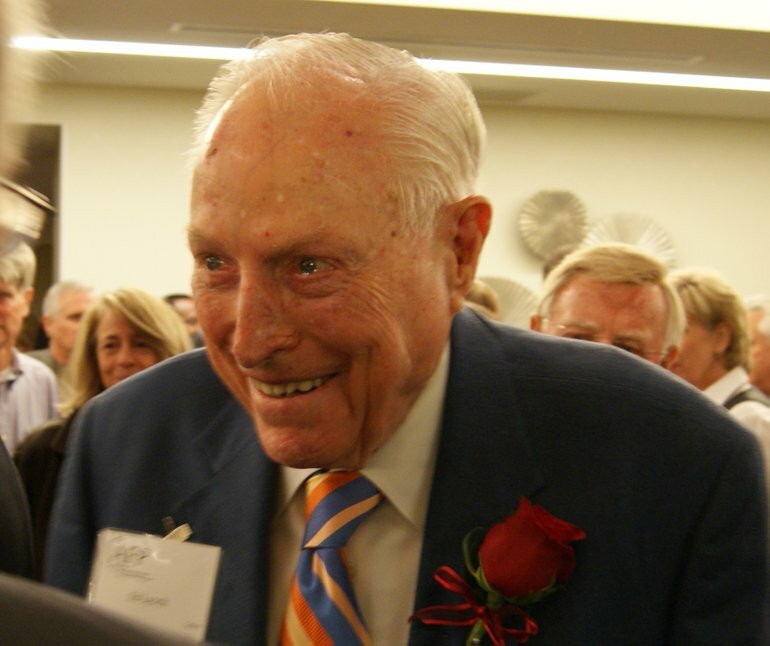 Ed Lynch was just such a giant… a man who not only built and then gave away a fortune, but also handpicked and then mentored the next two generations of like-minded leaders who learned at the foot of the master, and continue to reside here among us. I generally and genuinely enjoy my work, but some days are definitely better than others. Many of my best days over the past 18 years have involved Ed Lynch. Is that because Ed was so generous to so many of the organizations I have represented? I would have to admit that is a part of it. But it goes much deeper than that. I liked to be in Ed’s company. I looked forward to it. He made me feel good about myself. He made me feel good about the world. He made me feel good, period. He was strength, and gentleness, firmness and grace, and razor sharp wit. He was all that right to the very end. As you read the above words now they seem ordinary enough, even to me. But trust me; the delivery was something other than that. It was that iron will that those of us who knew him felt so often; a commanding and compelling resolve. There have been other giants in our community: Ray Hickey, Ed Firstenburg, and George Propstra certainly come readily to mind, and each was unique. Ed Lynch was all of that and more. The word I hear most these days to describe him is legacy. Ed left a legacy that will endure. It will endure because the leaders who studied at his feet, are now on his shoulders.